Pasadena is a city in Los Angeles County, in southwestern California. It is located at the base of the San Gabriel Mountains, and is part of the vast Los Angeles metropolitan area. Business related to biotechonology and the environment, engineering, and finance are major economic activities in the city. Pasadena is home to the California Institute of Technology (Caltech), which includes the Jet Propulsion Laboratory, operated in conjunction with the National Aeronautics and Space Administration (NASA); Fuller Theological Seminary; Art Center College of Design; and a community college. Of general interest are Gamble House, designed by brothers Charles and Henry Greene, architects in the style of the Arts and Crafts Movement; the Norton Simon Arts Museum, containing one of the finer private art collections in the country; the Pasadena Historical Museum; and Kidspace, a children’s museum. Actors of national caliber have been trained since the 1940s at the Pasadena Playhouse; and the Pasadena Civic Auditorium is the site of the annual Emmy Awards presentation. Among the city’s premier attractions is Old Pasadena, a 14-block revitalized shopping, dining and theater district. Pasadena is also home of the Tournament of Roses Parade, which was first held in January 1, 1890 and is held each New Year’s Day since then. 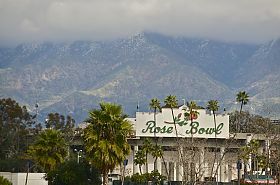 Also held in conjunction with the Tournament of Roses is the Rose Bowl football game, a postseason intercollegiate football game, at the Rose Bowl Stadium. Click here to read the official Pasadena Visitors Guide. 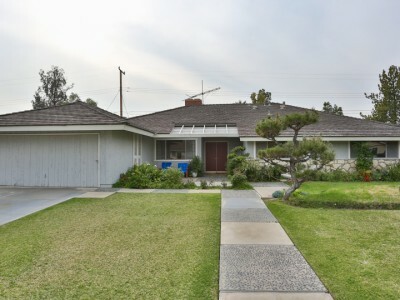 Click here for a link to the Podley Properties web site with more information on Pasadena, including history, demographics and statistics. Click here for a link to the City of Pasadena’s web site.